There is a natural tendency to push ones self until the brink of exhaustion. The shuffle and expectations of this world naturally wear us down. If one life facet slows, another quickens. Maybe it’s work deadlines, or a stressful family relationship, or a imposing decision on the horizon. Whatever excuse we tell ourselves is always replaced with another. I don’t want to bore you all with the personal details, because this phenomenon isn’t about me. It’s about all of us. And despite the fact that our lives will probably continue to escalate, there are things we can do. I’ve recently been really encouraged by getting back to simple, simple truths. A phrase that you can digest in one breath, but can echo in your head for a while because of it’s profoundness. I like the idea of having a few mantras, or statements that I can whisper as a prayer. A meditation point throughout the day. 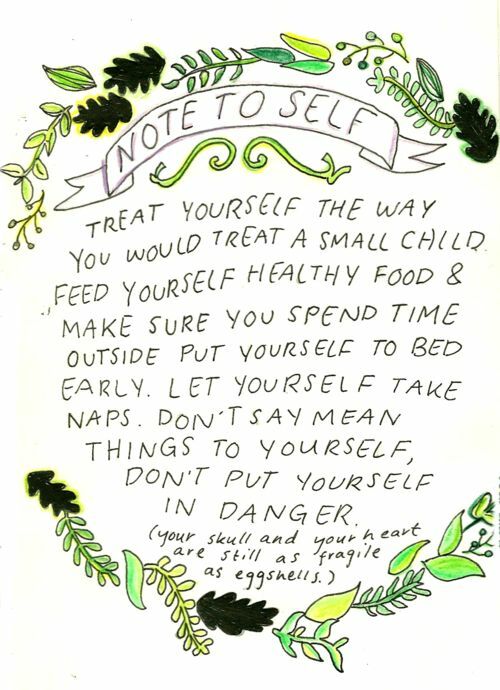 Be gentle to yourself. Listen to the rhythms of your body, and tend to the moments that are out of sync. Change. Do something. “So what?” you may ask. These words may mean something, but how else can I nurture myself? If you want action items, this book greatly encouraged me. The New Health Rules is a rulebook for wellness choices that will seem small, but will ripple effect into your whole being. Whole health topics from eating to emotions are covered, with beautiful accompanying photos. I like to read a few pages before bed. Practice a few yoga sun salutations or hip openers in the morning or night. Drink the juice of a whole lemon in warm water each morning to cleanse your digestive track. Diffuse some essential oils to energize or unwind throughout the day. Record what you’re grateful for. Trust me, it will help center your thoughts on the positive. It all comes down to what you need, and what you can give back to yourself. A change can be as simple as a mental decision to act differently. What that looks like depends on you. Hope this post has encouraged you all.